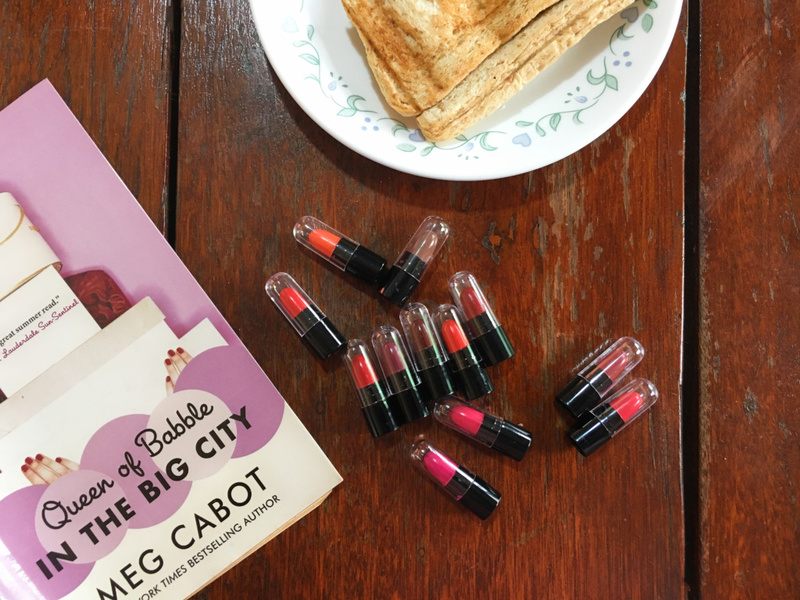 This is a bit late for last #NationalLipstickDay’s shenanigans, but better late than never, right? LOL. Some weeks ago, I got this box of mini lipsticks. 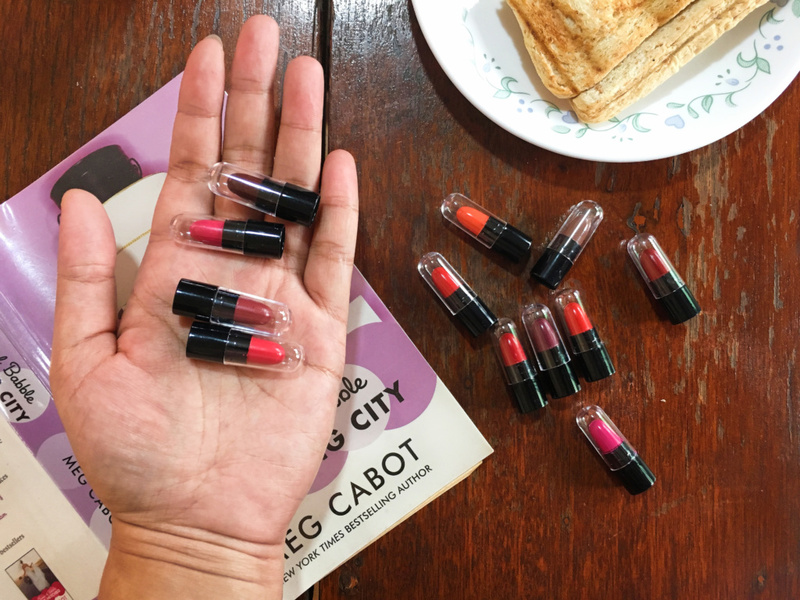 It only cost me around P120 for 12 pieces worth of lipsticks. So it’s like I only spent P10 for each piece. So I’m here to share with you the swatches of each color and how I feel about them. I saw the brand in passing inside the department store, particularly in the makeup section. The animations on the lipstick tubes caught my eye. It looked like Veronica from Archie comics. There was also a plum lipstick and the color is to die for! So I checked the price and to my surprise, it was only P65! Imagine a tube worth P65?! Then beside it was the Ashley Shine box I’m gonna show you in a bit. I was so intrigued with the brand because of the price, but my mom said I should get the box with 12 colors so if I don’t like it, it wouldn’t be such a waste – compared with one tube that’s already P65 alone. This is the first time I heard of this brand – Ashley Shine. And before you think about it, I don’t think these are entirely fake. Maybe just really cheap products, but not fake. I don’t think they would allow fake products inside the mall anyway. The box doesn’t have the lipsticks’ colors or even the ingredients so that’s when I felt more sketchy towards it. I was still willing to give it a try. If it doesn’t do any harm to my lips, then I guess the price is worth it. Of course, don’t set any expectations on this granted that they’re so cheap! 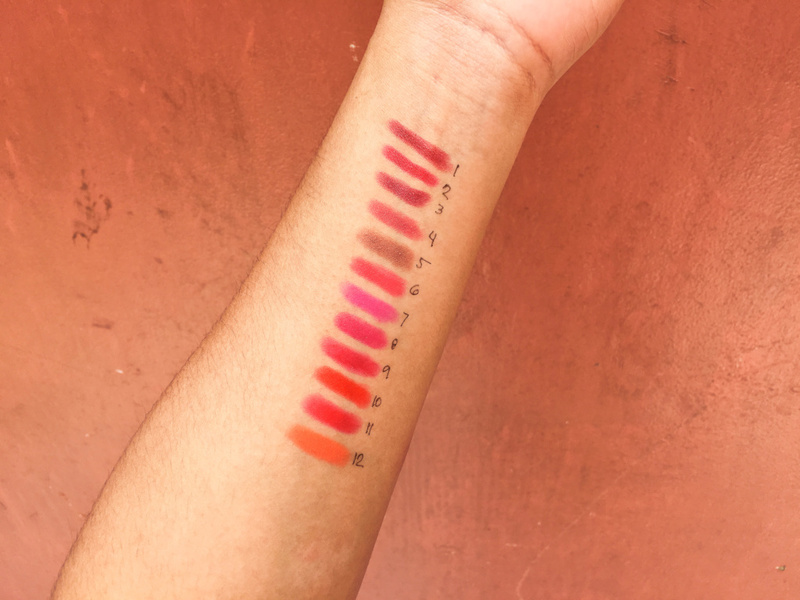 Upon looking at the colors from the plastic containers, you can easily judge that the lipsticks would easily break, but when I swatched them on my arms and later on my lips, they proved to be quite sturdy. They required several swipes in order to get the color, but since they’re creamy, they don’t hurt on the arms or the lips. The color payoff is actually impressive, too! Basically, what you see from the tube is what you get on your lips. Since these lipsticks don’t have any numbers or names on them, I took the liberty of giving them numbers just so I can also pinpoint what colors I like the most (and the least). Look how tiny they are! They remind of mini lipsticks for kids. Or those magnet toys that flip on your hands even at the slightest movement. YOU KNOW WHAT I’M TALKING ABOUT, RIGHT? Huhu. Anyway, let’s proceed with the swatches! Keep in mind that I have no makeup whatsoever here, so the color might be a bit off. These photos are only slightly edited just to give more emphasis on the shades. I suppose if I wear a full makeup on, these lipsticks would look more vibrant. Also, these are pigmented enough as you can see in the photos. I didn’t mind swiping several times since they’re creamy – not the tuggy matte type, which is actually annoying and, at times, hurtful. Hmm. Bold color, but wearable especially for formal occasions. Reminds me of Nyx’s Copenhagen. A red that makes me look a bit fair-skinned. Also makes my lips look plump and juicy. LOL. Eh, too dark for my kind of plum. Kinda on the MLBB side. Pinker in person. Still looks okay on my skintone, though. Something I’d wear when I audition for The Walking Dead. Oh wow, a coral red. Not sure how I can pull this off, but seems wearable to me. I actually like it on me. Maybe too bold after a long day and my entire face has greased up already. I feel like I’m just looking at the same color. But I’m not. A classic red which I actually don’t like on me. The winners: #1, #2, #8. The losers: #3, #5, #7. 2, 4 and 8 looks great! Di naman ba mabilis maubos after applying several swipes? Actually hindi! 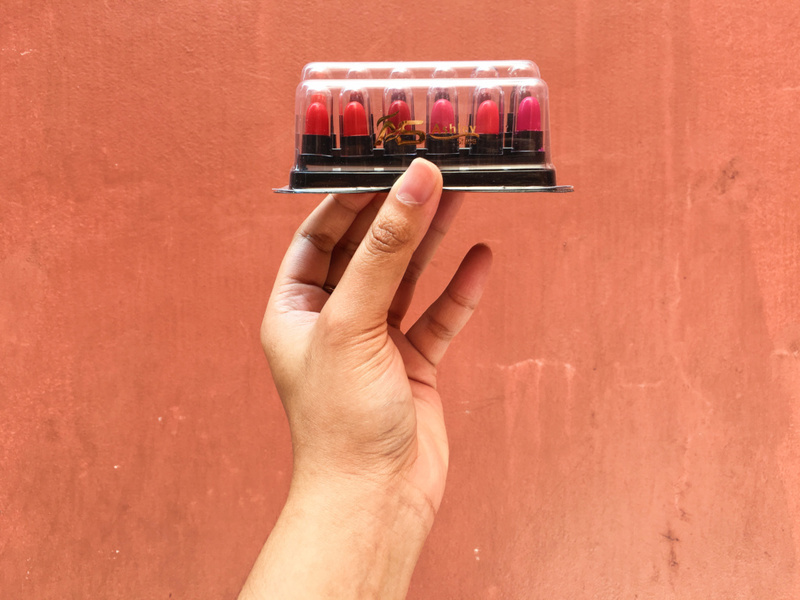 Pag tinignan mo, parang hindi nagalaw, unlike other lipsticks (usually creamy) na kita mo agad na nabawasan kasi iba na ang form. Actually, no! Nagiiwan pa nga ng stain eh. 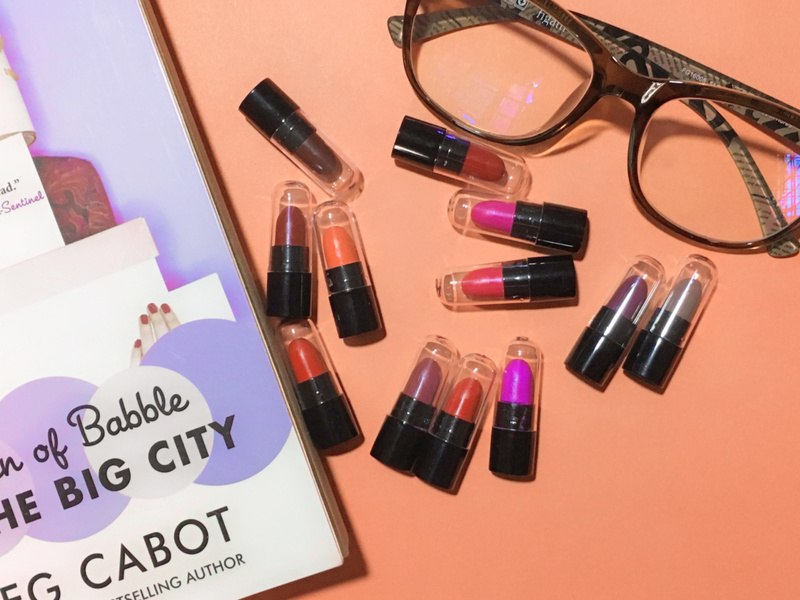 For a “creamy lipstick”, that’s unusual, but a huge plus.